Most riders know at least one person that has taken an ambulance ride by helicopter or by ground. If you are like me, I have had my fair share over the years. Furthermore, we all have heard about outrageous helicopter bills that on average can cost $22,000 and clear well over $75,000 in a matter of minutes. While emergency ambulance services are designed to save your life, they are not designed to save your wallet. However, there is something you can do about it. You can purchase a Life Flight & Ambulance policy designed to cover the cost of these services. Be forewarned they are not all created equal. 911 is called and they dispatch the closest ambulance service. However, the company you bought your membership through must be available... These regional transport companies must pick you up in their ambulance for services to be covered. If they don’t pick you up because 911 dispatches another company for a multitude of reasons, you are not covered. If you are an avid rider like most of us, chances are you travel frequently and therefore, you will be out of the regional service area. In order to be covered everywhere you go, you must purchase a regional membership in every area you plan to visit and that can add up! 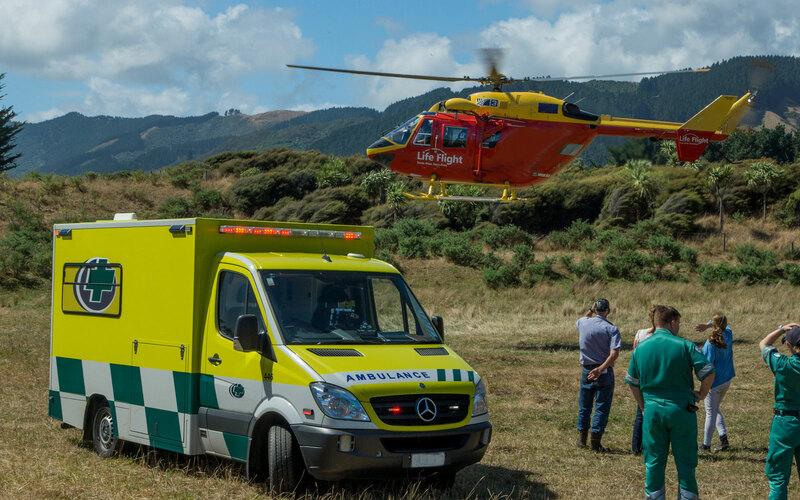 The easy solution is to get a Life Flight & Ambulance policy that covers all ambulance services anywhere you go no matter who provides the transport. Think of it as an umbrella over all the regional transport companies, except the benefits do not stop after the initial ambulance ride. When emergenciy strikes, you, your family, and your equipment are often left in limbo. The policy we offer, coverage starts by paying the regional service level, and from there services also include additional transportation features like medical airplanes, vehicle and trailer return, return flight home, organ retrieval, repatriation services, pet return, dependent return and more!